Hi! 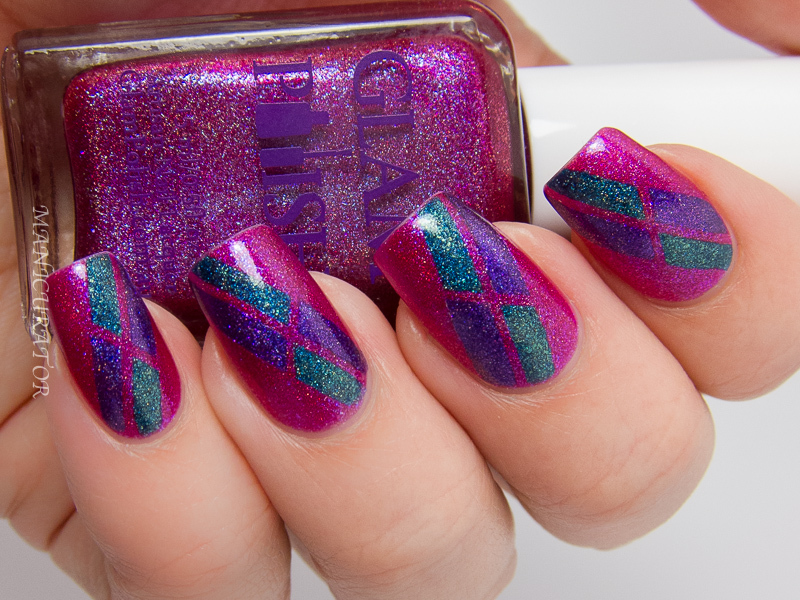 Look what I have today, the second trio in the Glam Polish Exotic Illusions Series. 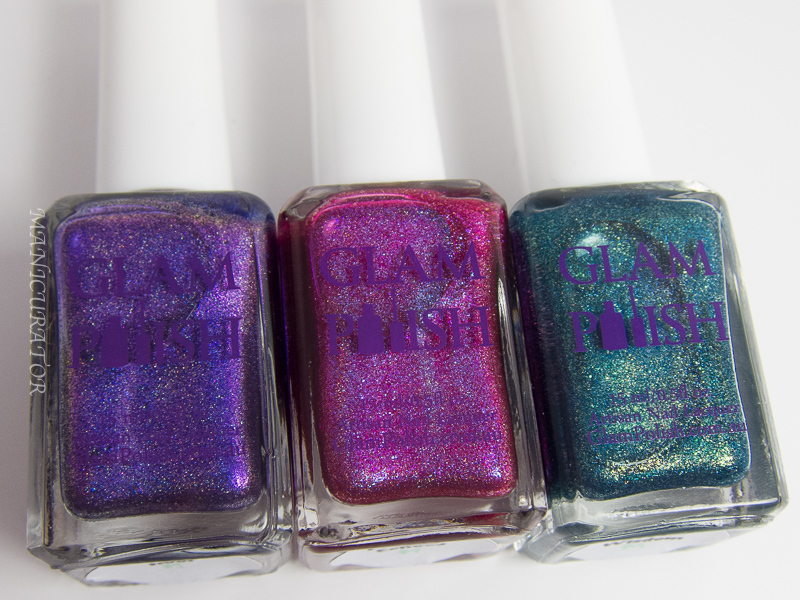 I showed you the April trio last month and here are the three limited edition shades for April. 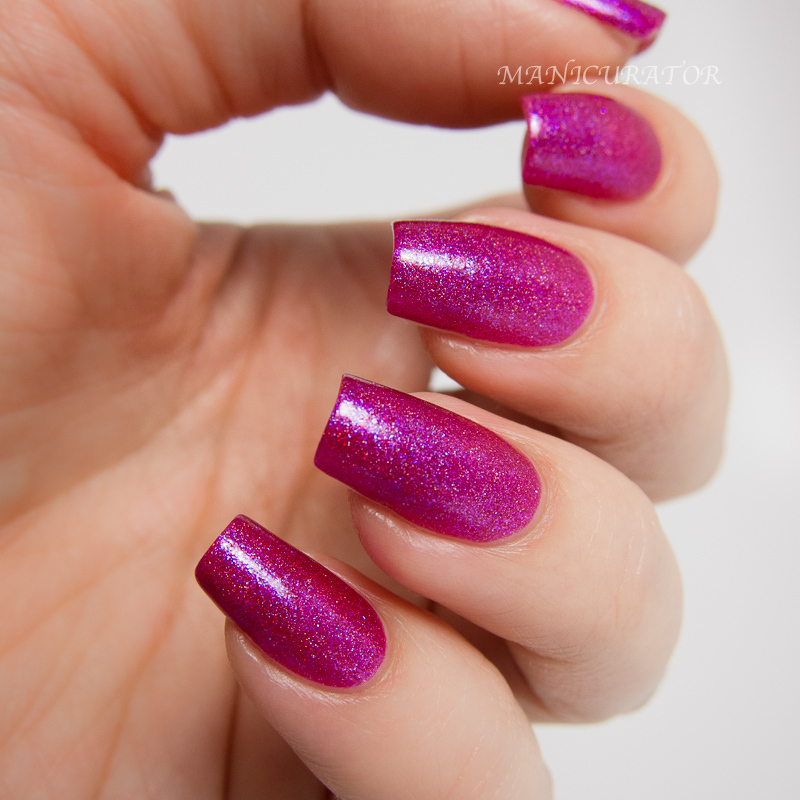 As usual, the formula is perfect, all swatches are two easy coats! 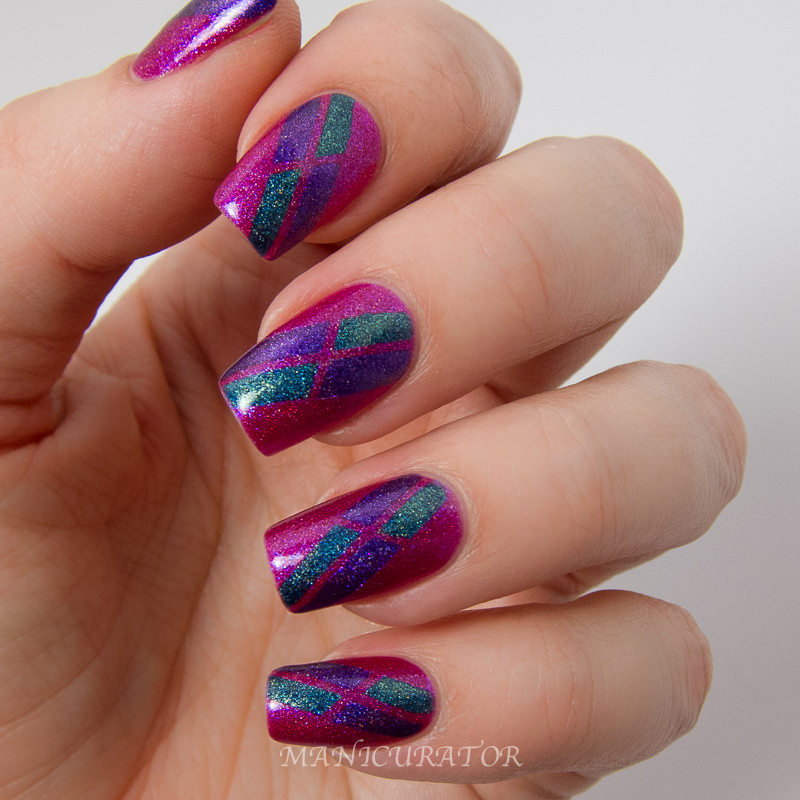 Starting with a quick striping tape design showing off all three shades..then swatches of each shade. Simple but dramatic tape nail art, I wanted a design that shows off each shade. These are super easy to work with and great for nail art as they have a great formula and are very pigmented. Another stunning set in my opinion! Are you drooling too? I really love the design you did with these. It's stunning! Twilight Echoes is so intense and beautiful! Gorgeous! All of these colours are amazing! These shades are so so beautiful ♥ lovely!